Located just north of Calgary’s bustling 17th Avenue nightlife, Shelf Life Books is a relatively new addition to the Alberta city. 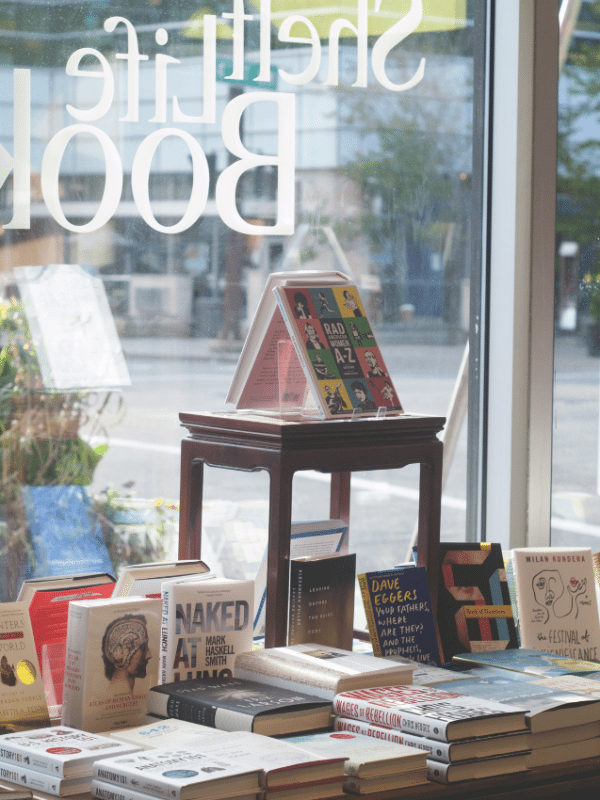 Co-owners Will Lawrence and JoAnn McCaig opened shop in 2010, ignoring both doom-and-gloom predictions for indie bookstores and the economic downturn. Good thing, too. Five years later, their sales have nearly doubled and Shelf Life Books has earned its reputation as a literary hub. 1. Shelf Life’s building has gone through multiple incarnations, including an antique shop, a second-hand clothing store, and, most notably, one of Calgary’s first gay bars, the Parkside Continental, for which it is included on the city’s Pride Week tours. The interior still features traces of its past lives, including a bar setup in the back of the store that serves its original purpose during readings and events, when patrons can get a glass of wine while chatting with their favourite authors. 2. The store’s large, street-level windows give the 3,500-square-foot space a healthy dose of natural light, and the brown leather chairs scattered throughout make for ideal reading spots. 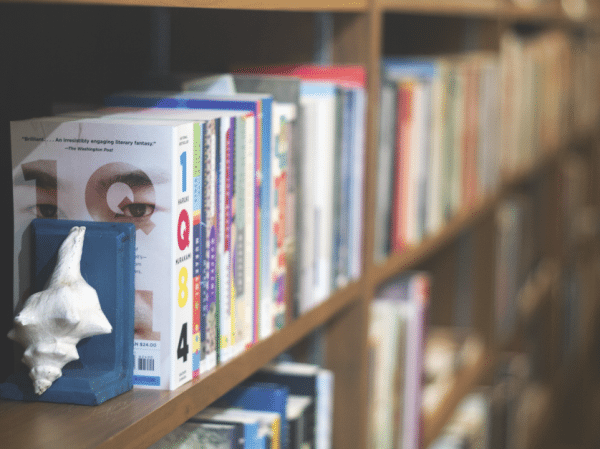 The selection of books, nearly half of which are fiction, is carefully curated to appeal to bookish types, with many hard-to-find authors and titles featured alongside local writers and artists, something for which Shelf Life prides itself. During readings, a small alcove near the centre of the store is cleared of shelves to make room for anywhere from 15 to 60 seats, lending events an intimate ambiance. 3. Lawrence estimates they’ve hosted anywhere from 300 to 400 readings and events in the store since 2010, featuring authors such as derek beaulieu, Christian Bök, Fred Stenson, and Rudy Wiebe. He recalls one memorable reading by local playwright Eugene Stickland for his first novel, The Piano Teacher, during which a cellist played improvisational music to accompany the more emotional passages.